“Aircraft upset” is a term that no one in aviation likes to hear when it is used to describe a real-world event. 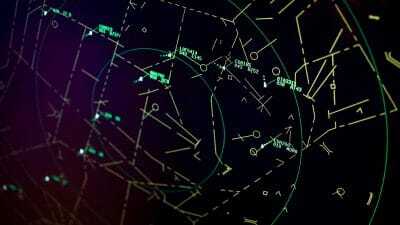 It is a condition in which the flight attitude or airspeed of an aircraft is allowed to wander outside the parameters for which it is designed, and one that can have tragic consequences. 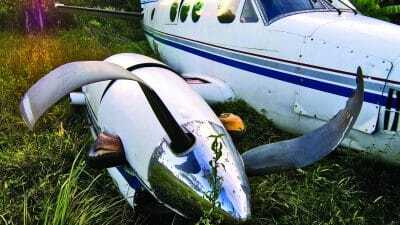 According to the NTSB, between 2001 and 2011, loss of control by the pilot was the cause of over 40 percent of fixed wing general aviation fatal accidents. While the fatal accident rate has declined in recent years, the FAA says 347 people still died in 209 fatal accidents in 2017. The international statistics are equally sobering, with the Flight Safety Foundation quoting IATA (International Air Transport Association) data showing that 30 loss of control accidents between 2012 and 2016 resulted in 949 fatalities. Clearly, aircraft upset is a high-risk situation that requires immediate corrective action and a position in which pilots do not want to find themselves. That is, of course, unless they choose to do so intentionally, to experience it and learn how best to respond. Colin Bruno (Global Aerospace) and Renee Brilhante an Instructor Pilot from Prevailance. Recently two Global Aerospace executives participated in an Upset Prevention & Recovery Training (UPRT) course provided by Prevailance Aerospace. Colin Bruno, a senior vice president and senior underwriting manager, and Steve Murray, a vice president and underwriting manager, did just that. They spent time in the classroom studying the concepts related to aircraft upset prevention and recovery, and in the air learning what it feels like to suffer a loss of control and how to recover from it. 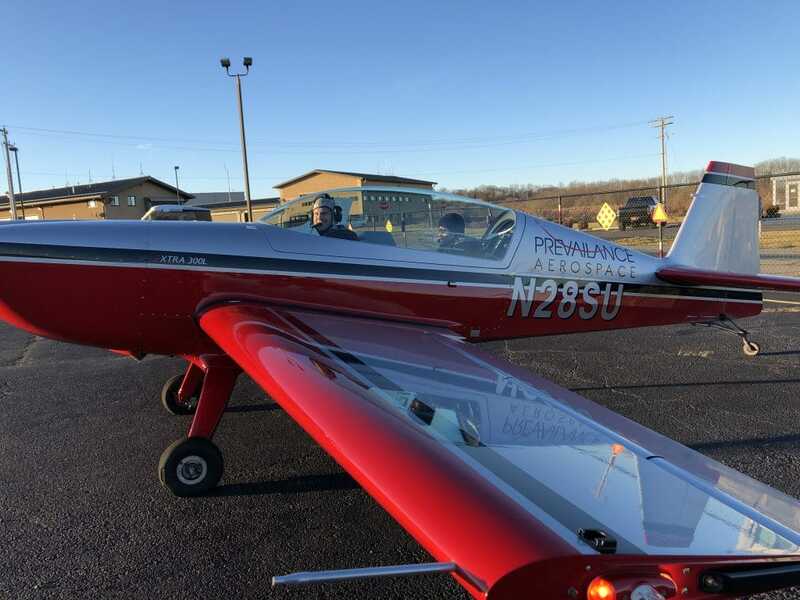 Colin and Steve are seasoned pilots, and UPRT was an eye-opening experience for both of them. This specialized type of training is relatively new, and has developed in response to the growing awareness that loss of control is a persistent problem that can’t be overcome simply by flying more hours under normal conditions. UPRT is available in smaller acrobatic airplanes, larger jet aircraft, and many types in between. It is now becoming integrated into simulator training where this capability has recently been developed. 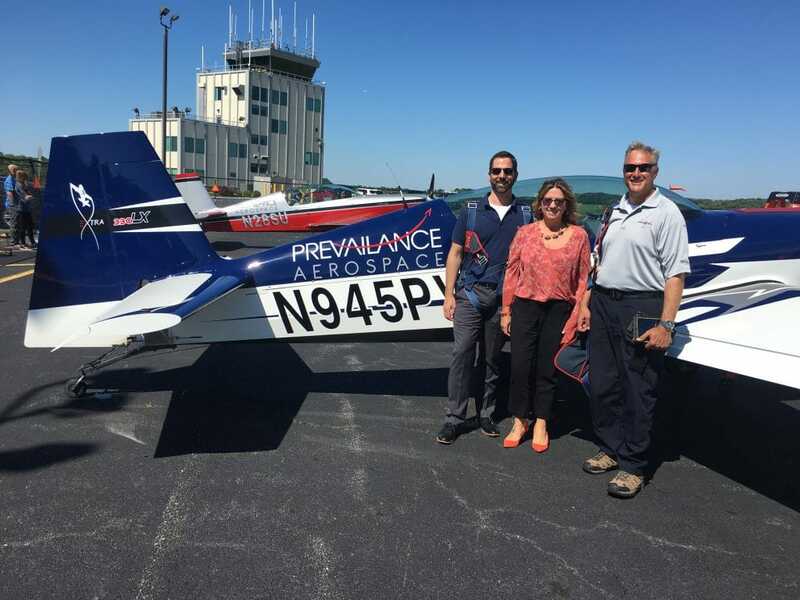 Steve Murray and Marilena Sharpell (Global Aerospace) with Chris Thomas an Instructor Pilot from Prevailance. Who Can Benefit From Aircraft Upset Prevention & Recovery Training? As one of the many benefits of the SM4 Aviation Safety Program developed and supported by Global Aerospace, each year we provide clients with the opportunity to select one of their pilots for upset prevention and recovery training free of charge. It is part of our ongoing commitment to help achieve higher levels of operational safety. Our goal is to be a leader in this area and to draw attention to an important industry issue and the resources available for addressing it. But, of course, decreasing the number of accidents caused by aircraft upset is just one of the challenges facing aviation today. The SM4 program covers a wide spectrum of safety issues, and continues to develop as our industry evolves, including through relationships with leading companies like Prevailance Aerospace. If you have questions about our products or industry alliances, please contact us at your convenience.